Red brick, machinery, and smoke - darkened chimneys. Reason, facts, and statistics. This is the world of Coketown, the depressed mill town that is the setting for one of Charles Dickens' most powerful and unforgettable novels. The highest priority for Thomas Gradgrind, head of the Gradgrind model day school, is his version of education - feeding the mind of while starving the soul and spirit. Inflexible and unyielding, he places conformity above curiosity and sense over sentiment ... only to find himself betrayed by the very standards that govern his own unhappy life. 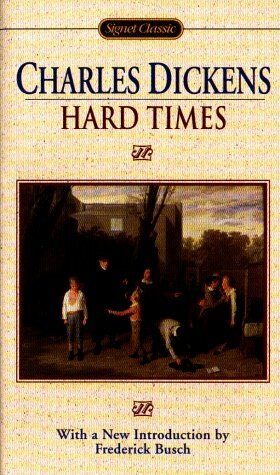 Hard Times is Dickens' scathing portrait of Victorian industrial society and its misapplied utilitarian philosophy. Frederick Bush's most recent novel is The Night Inspector, a finalist for the National Book Critics Circle Award. He is Fairchild Professor of Literature at Colgate University.